Amazing spot. The bungalows are beautiful with plenty of privacy. The couple who run the place are very friendly and helpful. You can easily walk to Playa Forti which is a great spot to swim (and cliff jump!) with two restaurants on the cliffs. Short drive to many more beaches. The kitchens are small but had a fridge, oven/stove, toaster and coffee maker which was all we really needed. Beautiful bungalows just a short walk from great snorkeling. 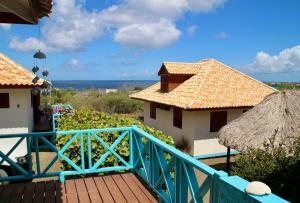 This property is located on the part of the island with the best beaches for snorkeling. The owners were friendly and helpful. I liked the quietness of the area....very relaxing! We were very impressed with everything about WestHill Bungalows. The managers are very friendly and helpful. The bungalow itself was beautiful and much more spacious than appeared in the pictures. The kitchen was very functional with plenty of dishes and a full-size fridge, oven, and stove. The complex where the bungalow is located is lovely and secure with a locked gate and the bungalows are situated in such a way that you don't really see your neighbors so very private. There are several beaches within walking distances that are excellent and a few more just a short drive away. We snorkeled with sea turtles every single day! We would definitely stay here again and highly recommend it to others. The place itself is amazing: within the green of nature but still with ocean view (at least my bungalow since I choose it like that), and each bungalow is quite private. The porch of each bungalow is a very nice extra: we took breakfast there all mornings! Furthermore there are a lot of birds so it’s just beautiful to just rest in the porch while you see and hear them. The location is perfect for visiting the northern part of the island (I split my trip in two, half north half south), since its near everything in the north (Shete Boka, Cristofellpark, some amazing beaches and dive/snorkeling sites, etc.). Location and view is spectacular. Management is really friendly and helpful. Plaja Forti, just 3 min walking distance away, is peaceful and really beautiful (walk past the corner on the beach). Perfect for swimming, snorkling and sunbathing. Annmarie and René were very friendly hosts. The bungalow was very spacious and quiet and we were surrounded by beautiful nature. There were lots of beautiful birds around us, including one very shy hummingbird. On the land next to us there was a whole herd of iguanas grazing one day! The bungalows were all quite private and the pool was very nice too. There are a couple of nice restaurants you can walk to along with some lovely beaches and the Go West diving centre is a 5 min drive away. The landscaping and location. Each apartment offered privacy even though they were close to one another. there was air conditioning in the bedrooms...otherwise open air environment....close to nature. Lock in a great price for Westhill Bungalows – rated 8.9 by recent guests! 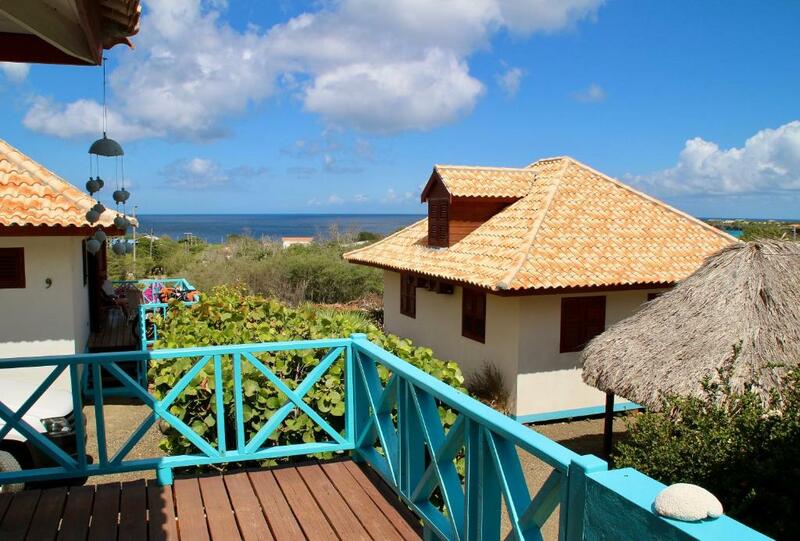 Located in Westpunt village, just 3 minutes' walk from Playa Forti Beach, this accommodations offers views of the Caribbean Sea. It features an outdoor pool and bungalows with a complete kitchen. A private balcony with sea views is part of each cabana-style bungalow at Westhill Bungalows. The bungalows are furnished with a work desk. There is free Wi-Fi available. Guests can cook on the outdoor barbecue facilities or lounge on the sundeck. National Park Christoffel is 5 minutes’ drive from Bungalows Westhill. This property is also rated for the best value in Sabana Westpunt! Guests are getting more for their money when compared to other properties in this city. When would you like to stay at Westhill Bungalows? This spacious apartment features a fully equipped kitchen and a private balcony. This bungalow features a balcony, kitchenette and oven. This bungalow has a balcony, sofa and kitchenware. This bungalow features air conditioning, seating area and private entrance. RUST. Daar draait het om op ons park, er zijn negen vrijstaande bungalow`s waarvan een de receptie is en waar wij normaal gesproken de gehele dag aanwezig zijn voor al uw vragen. De bungalows zijn vrijstaand en hebben een groot balkon waar u lekker tot rust kunt komen, en waar meestal een lekker windje staat . De bungalow`s staan midden in de natuur op westpunt, en op loopafstand van het strand van Playa Forti, waar u lekker een duik kunt nemen of wat snorkelen. Vanaf bijna alle bungalow`s heeft u zicht op de zee en de bergen, lekker ontspannen midden in de natuur. In de omgeving van het park zijn de mooiste strandjes en leuke restaurantjes, de dichtsbijzijnde supermarkt is in Barber. Een dagje Willemstad of Jan Thiel waar u lekker kunt uitgaan, maar dan weer lekker naar uw bungalow terug om de drukte te ontvluchten en in alle rust kunt gaan slapen. House Rules Westhill Bungalows takes special requests – add in the next step! Debit card Westhill Bungalows accepts these cards and reserves the right to temporarily hold an amount prior to arrival. Westhill Bungalows accepts these cards and reserves the right to temporarily hold an amount prior to arrival. Reception opening hours are from 09:00 until 21:00. Electricity is not included and will be calculated at the end of the stay. Contact the property for details. Please note that 50% prepayment will be charged upon reservation. Please inform Westhill Bungalows of your expected arrival time in advance. You can use the Special Requests box when booking, or contact the property directly using the contact details in your confirmation. Watch out for bats if you leave your front door open at night! Groceries were quite expensive at the closest market so we would recommend getting groceries in Willemstad prior to driving up to the bungalows. Having said that, the nearby market does have everything you need, just a little pricier. Internet was not working properly almost for the entire stay... this perhaps is not their fault but was nonetheless a problem. As in all rental apartments, the cooking knives could have been better. The locaton. Quiet and close to diving spots. They charged us US$ 70.00 for the eletricity (although the air conditioning is essential at night). Be prepared to hundreds of mosquitos (daddy longlegs) at night and inside the house during the day (we traveled december/january). Excelent house, in the best point of the island. You must have a car. Plan on doing most of your own cooking. Restaurants in the area were few and not open many days of the week. The pool was very very dirty so I did not dare to swim. And it was swarmed with wasps. The (male) owner did not want to try to do anything about the wasps. And he did not succeed or did not try hard enough ( nor hired a professional) to clean the (small) pool. The water stayed dark grey. And the bungalow itself was a bit dirty as well. The network name written on our wireless router was not correctly nor was it made clear that the password had to be written in caps lock, so with 6 or so other network names that popped up which weren't ours either, and countless tries, we gave up and had no internet the first day. The next day I asked again and then the (lady) owner did walkwith me to the bungalow ( the first day my daughter was sent away with no useful info and I was too ill to walk there myself) and as from the second day with the extra info, it succeeded. This small resort is very nicely situated in nature. And from our porch we had a beautiful view on the sea. I enjoyed the place very well as did the kids. The bungalows have a small kitchenette and a nice porch and enough privacy ( unless you hire the ones that are next to the pool of course) notwithstanding the fact that the 9 bungalows are built near to each other. 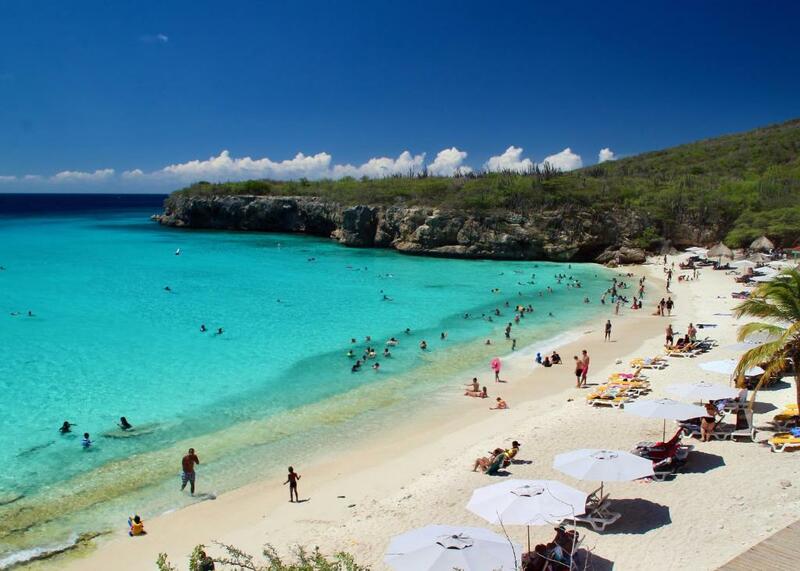 It is near a lot of famous beaches on this West side (Westpunt) of Curacao.